You guessed it – secularization! There was that recent Pew survey release showing that 78% of Americans identified as Christians in 2007, but only 70% in 2014. DZ’s already covered that topic pretty well, and the stats are disheartening, but it’s worth thinking about some possible silver linings. First, from a Law/Gospel perspective, pressure engenders rebellion, so it’s nice that Christianity is less mandatory than before. The people I know least receptive to religion of any kind are megachurch children or people who went to (the wrong kind of) Catholic gradeschool. As long as Christianity’s a cultural status quo, people can assume that it lacks intellectual credibility – is anyone actually choosing this, or are they merely building elaborate justifications for beliefs they were born with? As the numbers fall, that question loses credibility. But more importantly (though perhaps related), Christianity has usually functioned best when a cultural minority. I’m not sure why, except that power of any kind is always a temptation. Constantine’s conversion seemed an almost eschatological triumph for the early church, but people overinvested in it. So when Rome was sacked in 410, it took an effort of massive sophistication and originality from Augustine to rescue Christianity from the collapse of the wagon it’d hitched itself to. God’s providence in history is difficult to discern, and surely the Constantinian period helped Christianity attain the reach it has today. But the Church’s witness is generally more pure the more divorced it is from worldly power. Dostoevsky saw this clearly in the late nineteenth century, imagining (through his freethinking Ivan) a cultural triumph of Christendom so institutionalized that were Christ to come again, the Church might put him to death. Ivan imagines this in a parable, when an aged bastion of Christendom – the Grand Inquisitor – comes face-to-face with Christ. For Dostoevsky, Christ’s refusal of the temptations represented a rejection of rational, intuitive worldly power. He could have inspired universal belief by leaping into the angels’ arms, but he chose not to. Dostoevsky’s Inquisitor cannot understand this; he even finds fault with it. And the American Church – at least segments of it – are often busy trying to perform a weaker version of the miracle Christ refused. Fancy apologetic demonstrations, grandiose cultural diagnoses, insistence on various moral points… it’s a form of rational, culture-changing power which Jesus eschewed, remaining silent before Pilate. Left-handed power is precisely paradoxical power: power that looks for all the world like weakness, intervention that seems indistinguishable from nonintervention. Christian cultural thinkpieces are straightline power (yes, we’ve done a fair amount of those), Christian politics are straight-line power, and ‘cultural apologetics’ is as straight-line as it comes. To be clear, we do have a role to play in the broader conversation. Christianity, like any longstanding historical group, has preserved insights that modernity has lost, and it is distinctly well-positioned to offer critiques of extreme capitalism, extreme individualism, extreme subjectivism, and so forth. But if Christ’s temptations to display power and inspire belief really were temptations, we’ll usually tend to overplay our hand whenever we get dealt a good one. If ‘secularization’ really is happening, the cards are stacked against the Church. That’s not as bad a thing as some might think; the sort of little gestures of love which Christ made will stand out in sharper relief the more Christianity, as a cultural force, recedes. Whenever straight-line power seems a possibility, humans will overdo it, and we always have. Jesus always saw straight-line power – in the temptations, the interrogation from Pilate, and the people’s demand for signs – as ultimately hopeless. God made Gideon reduce his army from 32,000 to 300 for the simple reason that “Israel would become boastful, saying, ‘My own power has delivered me.’” So the Church started out with small power and reach, operating of necessity by left-handed power, like 300 men against thousands. We’re sliding slightly more in that direction (don’t want to overinterpret the trend), and that seems overall a negative thing. But when power, credibility, and cultural cache are stripped away, we’re forced to embrace weakness. Christianity, as far as I can tell, has never been primarily about cultural apologetics. Christ’s ministry was personal to the point of foolishness, and gestures of personality, rather than cultural promotion of worldview, has been of first import. The Inquisitor represents the cultural triumph of Christianity, and for that reason he cannot embrace the senseless, spontaneous gesture of the kiss on the forehead. In a similar must-listen story (below), an utterly uncalculated, utterly personal act of grace provides a nice narrative illustrating the ultimate efficacy of left-handed power. Can anything good come out of Rome,was Constantine greasing the rails for Christianity?No and No!!! What a great post Will! Just finished Capon’s book about parables. Also, I am still blubbering from the Ray Cortese audio link! BUT: as Matt Lee Anderson pointed out (and stopped me dead in my pseudo-Anabaptist tracks), isn’t the Constantinian settlement at least an instance of the world listening to the church’s witness and favorably responding? You know, the thing we say we’re aiming for? Whatever more it may be, is it not that at least? Certainly! I didn’t mean to come off as too negative. The hope for the rulers of the earth to bow before God in heaven is vital and biblical. 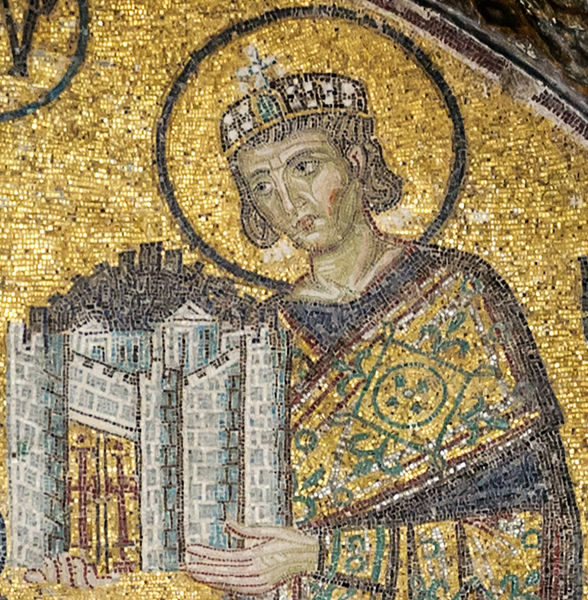 But the triumphalistic fervor which developed around Constanian Christianity (to the point that Rome’s sack was a crisis for the faith) is to me an example of the Church being coopted by worldly notions of power – parallel to the many OT examples of the Hebrews being granted victory by God, then shifting their trust to their own rulers, armies, and power. The cycle seems to apply to Christianity equally. Will! I should’ve clarified that my comment was in response to David and not to you- sorry!